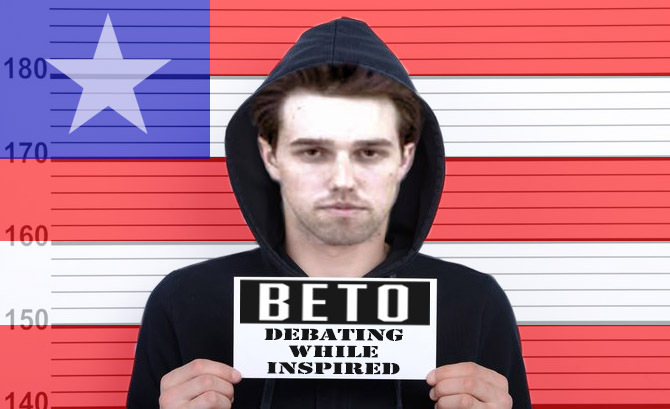 Texas Democrat Robert Francis "Beto" O'Rourke didn't technically win his Senate race due in large part to the fact that his opponent, suspected Zodiac killer and assassin spawn Ted Cruz, got more votes in the election. 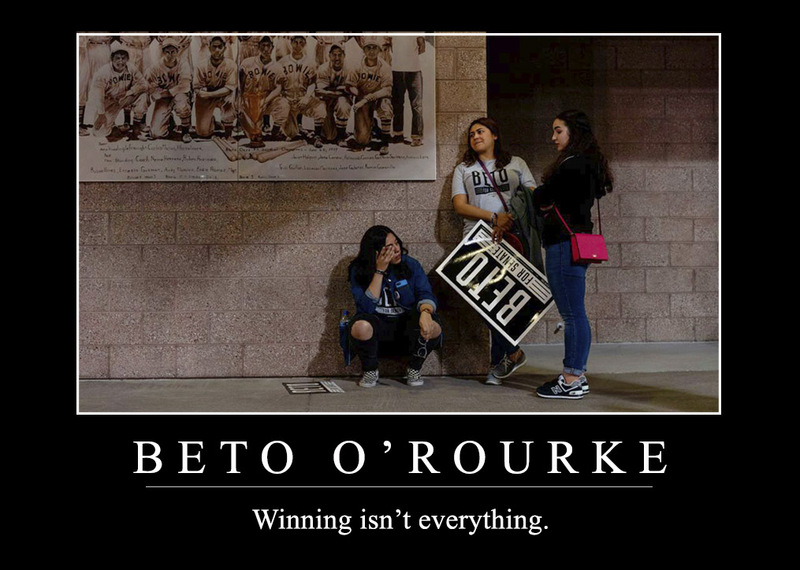 That said, as many pundits have suggested, Beto was actually one of the biggest winners of the 2018 midterms. Perhaps the simplest answer to why Hillary Clinton lost in 2016 is that she didn't make people horny enough. Victorious Democrats like Barack Obama, and certainly Bill Clinton, checked that box with ease. 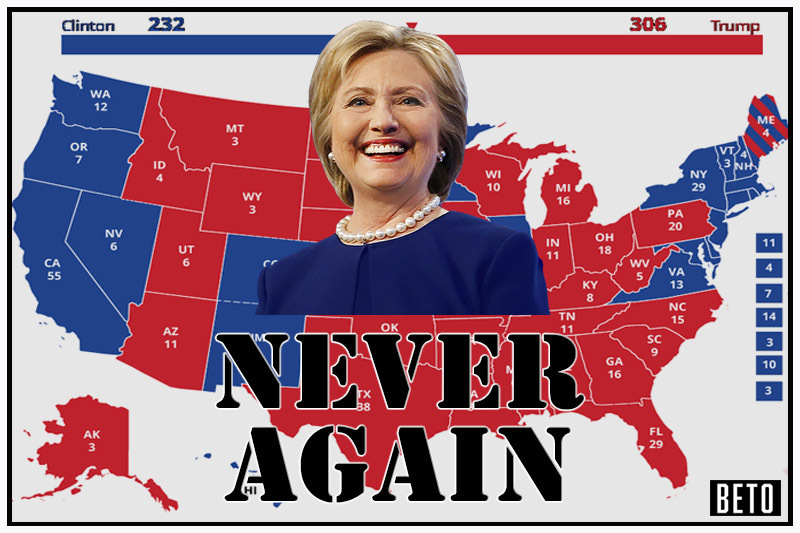 Hell, even Bernie Sanders trumped Hillary in that department. 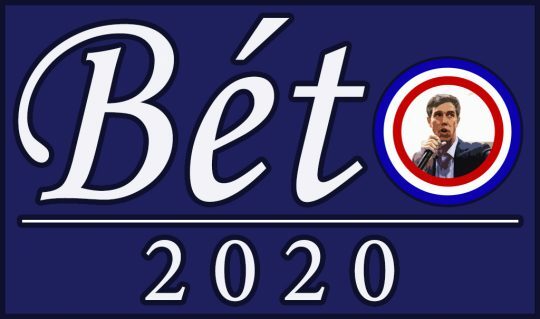 Beto will enjoy a similar advantage if he decides to run in 2020. 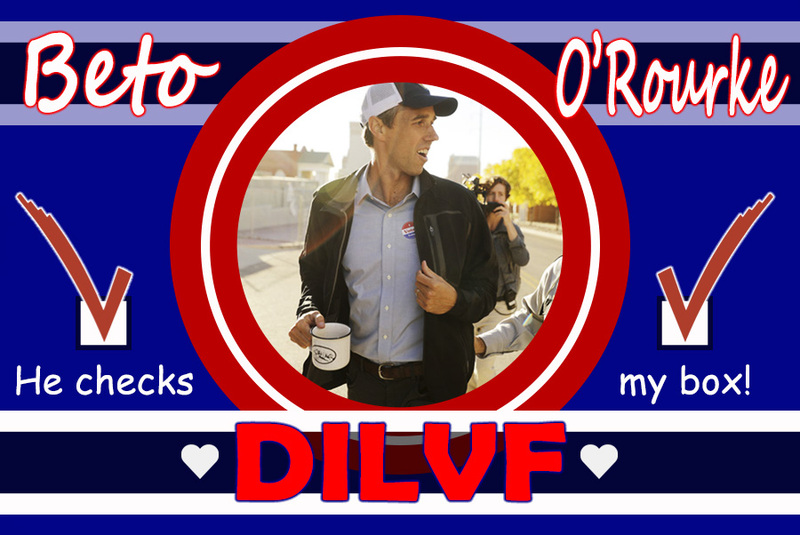 The national media is especially horny for Beto, as evidenced by the plethora of gushing profiles published about his unsuccessful (in the technical sense) campaign. He's "Kennedyesque," but without the mistresses and DWI citations. (Except the one.) He sweats a lot, and curses like a f—ing sailor. He's a skateboarding silver fox who knows how to handle his meat. He is all but assured to win the nomination. 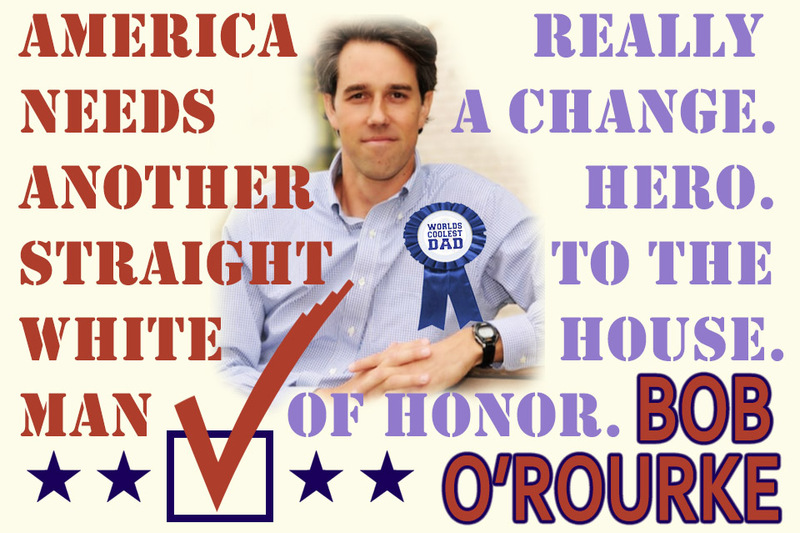 But in order to do that, Beto is going to need some dope campaign materials. Fortunately for him, the Free Beacon is here to help. 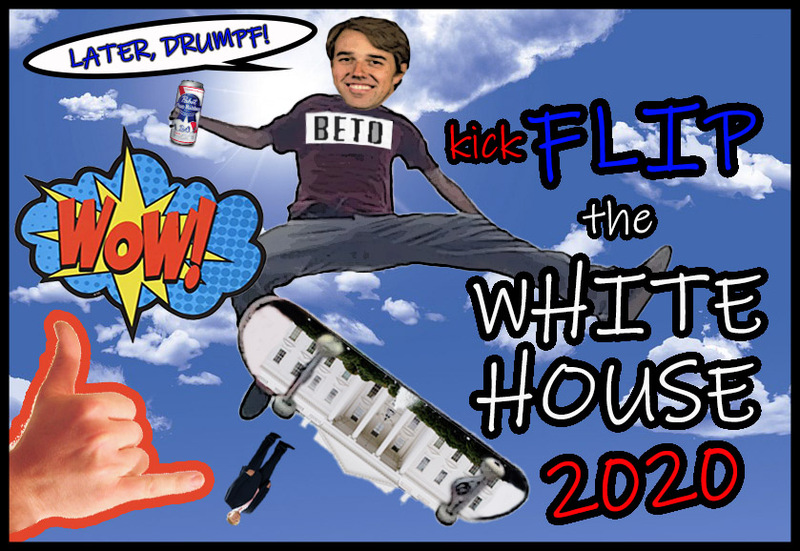 This entry was posted in Politics and tagged 2018 Election, 2020 Election, Beto O'Rourke, Democratic Party, Midterms, Parody, Satire, Ted Cruz, Texas. Bookmark the permalink.